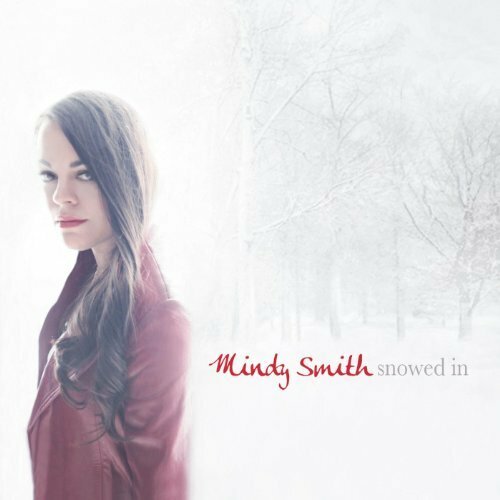 Back in 2007, when she was signed to Vanguard, Mindy Smith released one of the year’s finest Christmas albums in My Holiday (it justifiably qualifies as an “Evergreen” in this publication’s annual Christmas Music issue). Six years later she’s in the spirit again, albeit in EP mode, on this delectable five-song missive titled Snowed In. Some faces familiar to Smith’s fans are in the fold here, including co-producer Steve Buckingham, who was behind the board on Smith’s first three albums, along with drummer Eddie Bayers, bassist Michael Rhodes and mandolinist Lex Price, each being a returnee from My Holiday. Supplementing this all-star lineup are the formidable likes of John Hobbs on piano and B3, Brent Mason on guitar and, on two songs, Andrea Zonn on viola (Buckingham also pitches in on dulcimer). The result of this conflagration of artistry is another seasonal winner for Ms. Smith, whose plaintive voice and sheer conviction is nothing short of captivating. Snowed In may be slight at five songs in less than 20 minutes of running time, but the arrangements’ subtlety, the players’ impeccable restraint and Ms. Smith’s moving performances combine to make it seem more substantial—if you feel cheated by its brevity, it’s only because you always want more when musicians are as locked in as these and their message is so moving. Ms. Smith and company are that good. Hewing to the template of the 2007 album, Snowed In is a mix of Smith originals and traditional sacred classics (reflecting the artist’s staunch Christian faith, as did the originals on her holiday debut). Ms. Smith’s songs mesh perfectly with the familiar fare. Whereas your faithful friend and narrator described her performance on My Holiday as being equal parts “saintly and sultry,” her approach here, absent subtext, is unerringly tender and warm-hearted. Price’s soft, cascading mandolin flurries, falling like gentle flakes of snow, introduce Smith’s “Tomorrow is Christmas Day” before the band falls in discreetly behind Smith’s measured vocal. Hobbs’s B3 adds a warm, muscular hum behind the vocal as Smith advises the kids to tuck themselves away on Christmas Eve. She goes on to assure them Santa “got your letters in the mail” and “the elves worked off their little tails to bring you something without fail/underneath your trees.” When her voice rises to a wondrous, soft cry on the title sentiment, in the chorus, when she sounds for all the world as amazed at Santa’s work in bringing toys “to every boy and girl, everywhere around the world,” why, surely the most devout Scrooges among us would experience a teachable moment, shall we say. The Smith-composed title track is a quiet, affecting shuffle of a love song featuring some tasty, understated picking by Brent Mason supporting the artist’s warm musings on her most-wanted item for Christmas: “you and I snowed in, just us/playing our records, spinning our favorite songs/warm by the fire, how could we go wrong?” She continues on with other examples of the perfect Christmas present: “having you all day”—the key moment in an affecting chorus, with a slight vocal rise that underscores the sincerity of the singer’s most fervent wish for a cuddling experience with her beau—and you have to love the retro reference to “playing our records, spinning our favorite songs” (and for some, the sense memory it inspires), which is hardly what you expect to hear in a contemporary song anymore. In between and following the new songs are thoughtful, solemn readings of “What Child Is This” (with Price on mandolin adding rustic textures with picked notes and strummed chords and Ms. Zonn taking the spotlight midway with a deep, evocative viola solo and remaining prominent in the mix with a series of steady drones under the vocal) and “Silent Night.” The latter is the most country of the five tracks, with the guitar and mandolin (and Bayers’s percussion) underpinning Smith’s reverent, largely unembellished vocal. Her straightforward approach, and respect for the text, underscores the undiminished beauty of the poetry Joseph Mohr crafted in 1818. These songs close out the Christmas portion of the EP; the artist closes the proceedings with a haunting reading of “Auld Lang Syne” every but as deep as her “Silent Night” performance, with instrumental enhancement by Ms. Zann’s incisive viola solo, John Hobbs’s subdued piano and B3 and the guitar-mandolin tandem—Sutton and Price—responsible for the arrangement’s rustic flavor throughout. Mindy Smith is now two-for-two in the holiday music department, and for those who have been following her career this latest entry shows her continuing maturity as a singer and songwriter. Apart from this, Snowed In is an unassuming but undeniably moving seasonal communiqué.